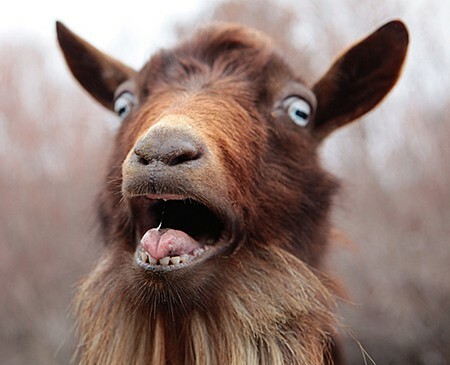 A sure-fire way of ensuring the longevity of your articles. Rounded corners for safe handling and high gloss for additional impact. All sizes are compatible with most hot laminating systems. 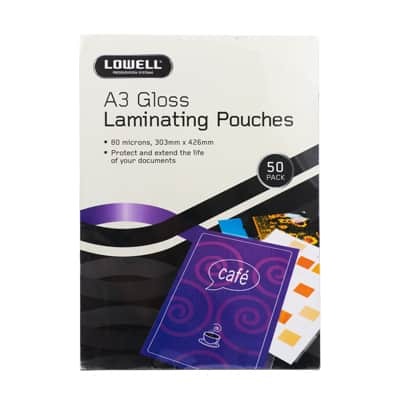 The A5 Gloss Laminating Pouches are ideal for protecting important documents. 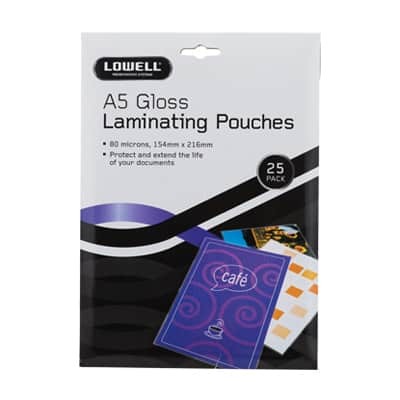 Laminating pouches provide protection against tampering, dust, dirt, grease and most liquids. Therefore once laminated, the contents inside is safe. 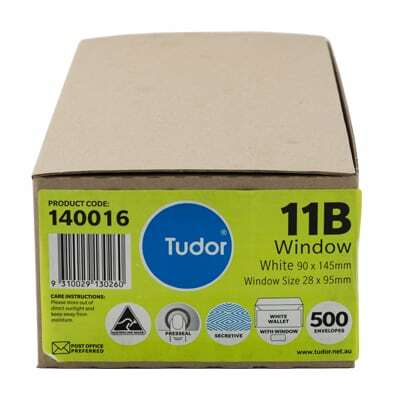 The pouches are versatile as whilst laminating extends the lifespan of it’s contents, it also provides a glossy finish. This finish is ideal for presentation purposes and as a result, documents look perfect. Cut to size the pouches rather than buying different packets and save! These pouches are 80 microns and are suitable for hot laminating only.